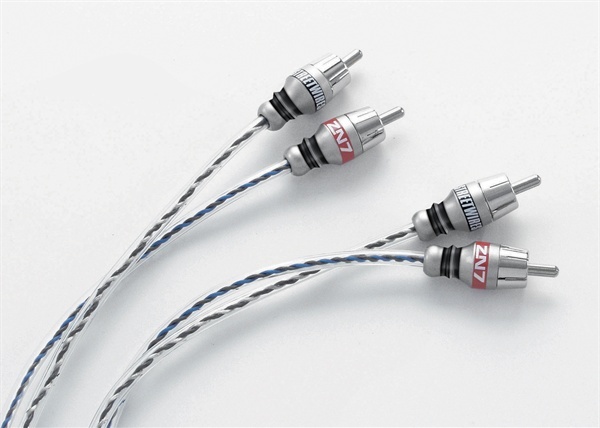 ZN7…a superior audio interconnect! Uncompromising in sound quality and noise rejection, ZN7 Interconnects dramatically improve the audio experience in any mobile audio system —most importantly, yours! ZeroNoise 7 interconnects deliver outstanding sound quality and include models designed for 6-channel applications. They are made with the highest-quality materials, sturdy construction, new conductor technology, and feature all new packaging with an easy tear-away back so the product is easily accessible by the consumer or installer.